Cēsis is really a tiny town so the positive side of this is that all the sights are close together. Most of the historical buildings have been restored or are under reconstruction, but a lot of them still remain in poor condition. 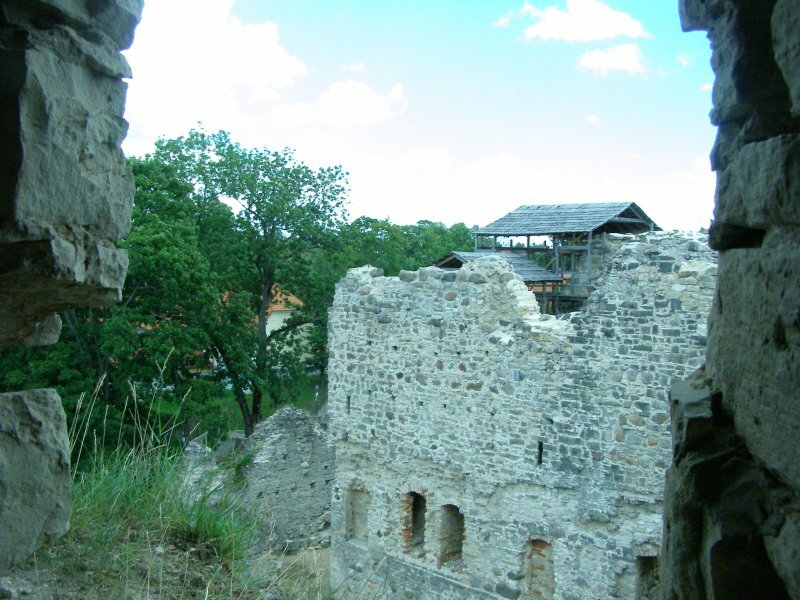 The castle complex itself includes various attractions. You are given an old-fashioned lantern to guide you by candle-light before you enter the ruins of the castle, making it easier to get an impression of the life in those days. After a walk through dark and tight passages and staircases, you are rewarded with an excellent view of the town from the top of the castle. At the opposite end, the brave can descend a ladder into a medieval dungeon. Entering the castle complex costs €2.85. To further your feelings of inhabiting a medieval town, try archery in the garden of the castle. A set of five arrows costs €1.40, and this attraction is available Thurs.-Sun. 11.00-18.00. Until the end of 15th century, the town had the rights to mint its own coins called Shielings. Nowadays, there’s a workshop where you can still make your own coins as a souvenir. 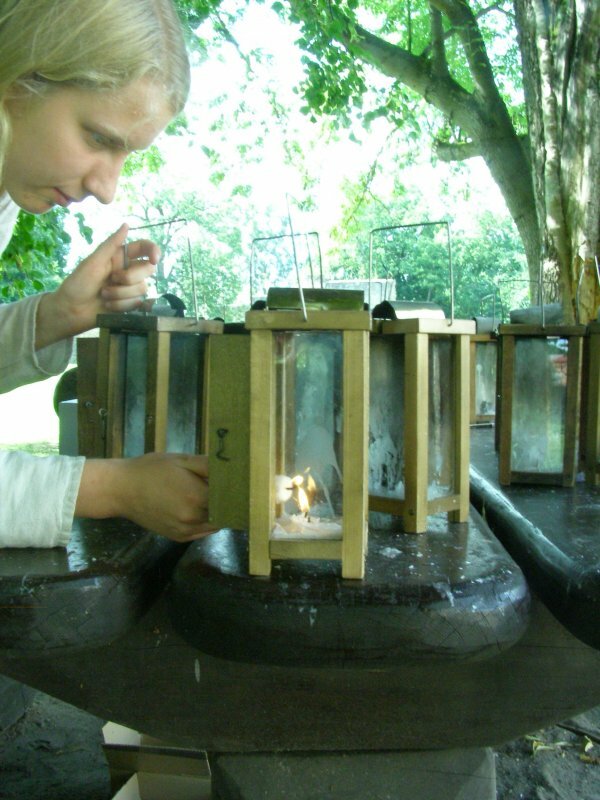 The Smithy of Ancient Jewelry is run by an enthusiastic expert Daumants Kalniņš. He’ll lead you back a few centuries by telling stories about ancient Latvian jewelry and the traditions of wearing it. Daumants can also show you the way the jewelry was made and you are able to try on heavy samples and traditional outfits of the time. If you like what you experience, you can purchase jewelry from the shop. The smithy is located at Pils 9, and it’s best to announce your arrival by telephoning 2915 8436. 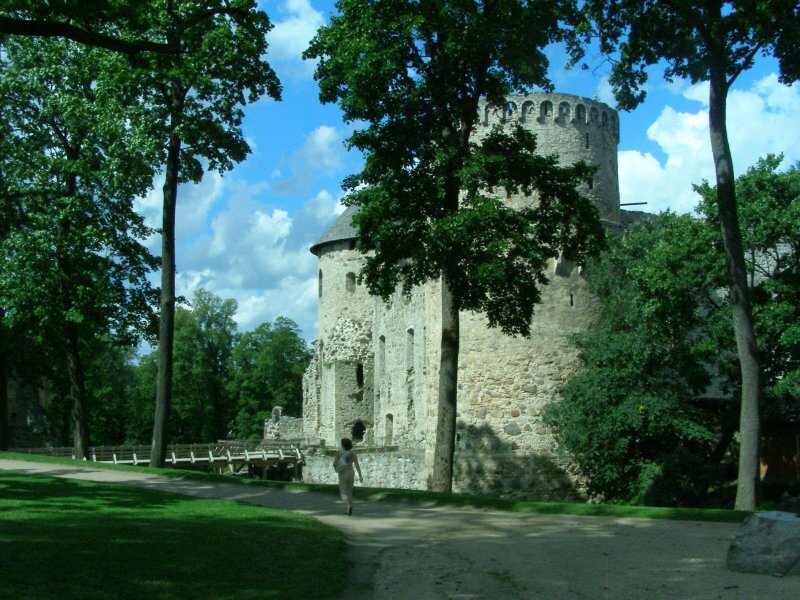 Cēsis’ new castle was built at the end of the 16th century, where the old castle's gate fortifications once stood. Up till World War I, it served as the count's residence. But since 1949, the castle has housed the Cēsis Museum of History and Art. The castle museum is open daily 10.00-20.00. There’s currently an exhibition that will particularly please beer lovers. “The History of Cēsu Alus” traces the journey of the district’s popular beer.